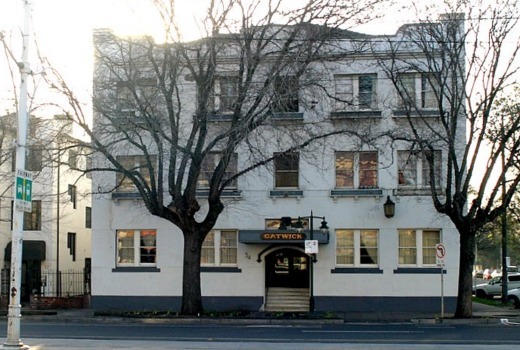 Plans for the The Block‘s 2018 renovation of The Gatwick hotel have been lodged with Port Phillip City council and are currently being publicly advertised. Land title documents show a company owned by the network, Micjoy, paid $10 million historic site, $5m less than originally reported. 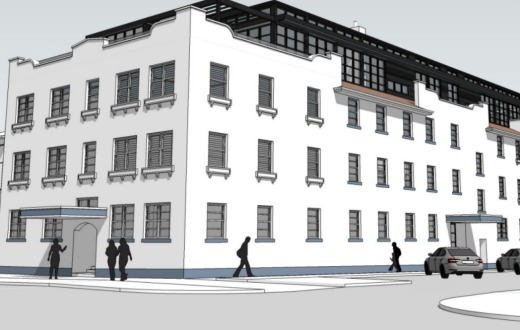 The proposed development involves the converting the historic site into eight apartment: two-bedrooms on the ground level and three-bedrooms for the remaining homes. There is also a plan for the existing roof to be partly demolished and a fourth floor built to include pergolas above outdoor terraces. A car park area would have six car spaces and bicycle parking, and each apartment would come with secure storage. Producers consider the site to be of unique character and location, and hope to see it transform Fitzroy Street St. Kilda when renovations take place next year. It is the only time a site has been confirmed so far in advance of production. 8 apartments raises questions about just how many teams will be needed next season (at least 6, probably 7). But Fairfax reports some locals have concerns over minimum parking and design aesthetics. TV Tonight first revealed The Gatwick as a potential site back in November. Meanwhile Nine’s 2017 season, filmed in Elsternwick, begins next Sunday. Excellent. Already looking forward to it. Heritage listed, 66 rooms and basement parking. The apartments are already being priced at $2.5m each. IMO not enough parking and a roof extension not fitting the character of the building. Apart from the television side of things… advertising revenue, ratings etc.. this must be a good little money making venture for the nine network. Building developers… I know they give away a lot to the contestants but they are clearly making good money out of it too. And they seem to love melbourne. It’s because Melbourne council love the block and let’s them do it. I’d like to see other cities have a go but I guess it’s easier there.